Linmoore Fencing of Sacramento has only the top design ideas, pictures, and concepts for all types of decorative and ornamental iron gates in the industry. We can design all types of iron gates and artistic iron designs for iron driveway gates, Iron courtyard gates, Iron access gates, remote entry gates with stunning and beautiful Garden Gates. 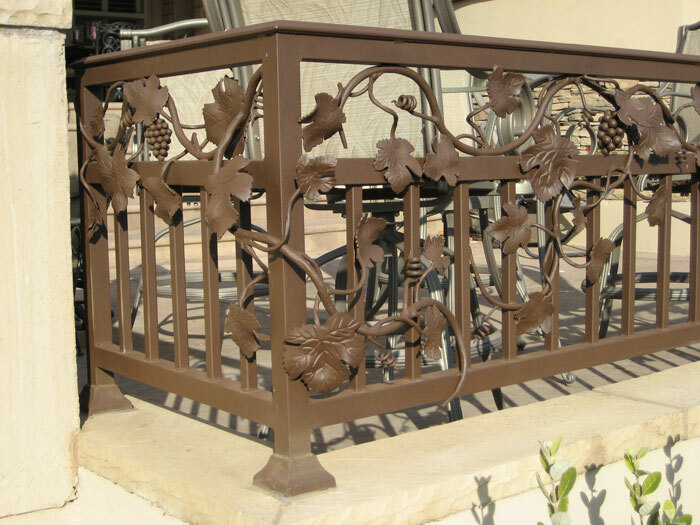 Second to none in the ornamental iron industry, Linmoore Fencing of Sacramento can come up with new concepts, new designs, and new custom fabrications for your home or business in the Sacramento area. Please browser website and view all of the Iron gate services we specialize in and feel free to contact us today. By designing an ornamental iron gate it will enable your home or commercial property to have that ultimate beauty and ultimate core you've always been looking for. We also specialize in decorative garden gates, decorative still gates decorative wood gates, ornamental iron gates, Ornamental gate designs, and many other types of iron fabrications in the Sacramento area. Specializing in all types of wrought iron gates for the Sacramento area and beyond, Linmoore Fencing of Sacramento has a specific crew of contractors that focus specifically on iron gates to ensure perfection time and time again. If you are interested in any type of wrought iron gate fabrication, take a look through our gallery and let us know if you have any questions. We also have many recent projects in our blog that you can take a look at. We frequently update our blog so you can see the type of work we do. Not all of the blog posts are about specific wrought iron gate projects, some of them are the crew just talking about how much we love designing and fabrication beautiful pieces of art.